Ace director S S Rajamouli, is one man who does not shy away from voicing his opinion. Time and again, he has praised many issues and acting performances which had caught his eye. 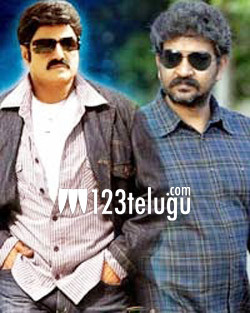 But S S Rajamoili’s latest praise was for none other then Nandamuri Balakrishna. As soon as he knew that Balakrishna was strongly against distributing money for votes, he took to his twitter page and praised the new Hindupur MLA. Heard from a close aide that Balakrishna garu didn’t allow money to be distributed for votes in hindupur.if that is really true, #Respect!!! tweeted Rajamouli. He is currently busy with the shooting of his magnum opus Bahubali which is slated to hit the screens in 2015. Prabhas and Rana plays the lead roles and M M Keeravani composes music.